Jeff Gordon's 88th career win couldn't have come at a more opportune point in the season. Will it keep him in the running for the NASCAR championship? Well, he's hanging tough, third in the standings, just 27 points down to the two leaders, Matt Kenseth and Jimmie Johnson. But 27 points down to two men, with only three races to go, that could still be very tough to overcome. That's about the difference between winning a race and finishing 24th. When the stock car tour left Richmond Sept. 7th, Gordon wasn't even in the playoffs. But now seven weeks later he's got a chance to win the championship again, a title that has eluded him since his fourth in 2001. So Gordon was almost breathless after this win. "Of course we're in it, until we're mathematically out of it," Gordon insists. "It's going to be tough to catch them. But we'll try to perform at our best and see what happens. The best thing is we're not protecting anything." "It is plausible," crew chief Alan Gustafson says of his team's title hope. "It won't be easy. But it won't be easy for them (Kenseth and Johnson) either. "I don't want to say we're playing with house money....but considering those two, we are. We just want to go to Homestead and have a shot." The wins have been fewer and farther between for Gordon since he turned 40. He won only once last year, and this is his first this season. "So many times this year we've left the race track saying 'What do we have to do?'" Gordon said, of his nearly year-long winless streak. "It's been a tough year. From where we started the season, from where we started in this chase, to be third feels great. "I can't wait to get to Texas (the next stop); we just tested there, and we had a good test. "And Tuesday we've got to be in Homestead testing too. We're busy right now. "Today we had to run in Matt's tracks; I didn't see his car fading like I thought it would, so I had to be more patient than I thought I would have to be." "We knew we had to capitalize on this race, to stay in the running for the championship," crew chief Alan Gustafson said. "We worked so hard on qualifying, because that number one pit stall is so important. So I was disappointed we only qualified ninth. But that would up working to our favor, because our number two stall worked to our advantage." That was because pole winner Denny Hamlin faded midway through the race. So Gordon wound up having the best shot out of the pits. "He finally wore Matt down, and that's hard to do, because Matt doesn't make many mistakes," Gustafson said. "Winning finally here....and no better time than now." 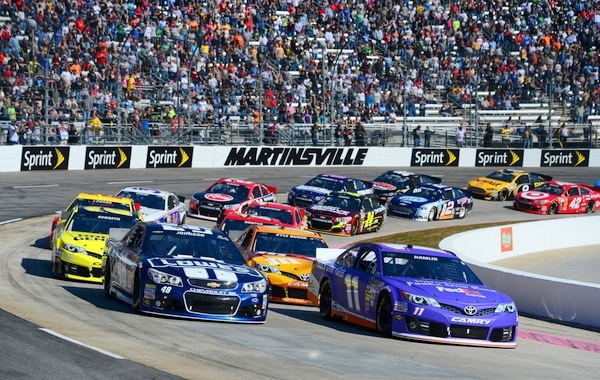 The win also wrapped up the NASCAR manufacturers championship, over Toyota and Ford. Sunday's 500 was chaotic, almost comical at times with drivers spinning out, cutting tires, slapping the wall. Survival was, again, an issue. And for Kevin Harvick, survival took several forms, after Saturday's brouhaha. Harvick struggled but finished sixth, and heads to Texas just a point behind Gordon. That means Harvick and crew chief Gil Martin are also still in the title hunt. And when the day began, Harvick, Martin and car owner Richard Childress appeared really under the gun. However Harvick had cooled off a little Sunday after Saturday's heated run-in with Ty Dillon in the Truck 250. Dillon, grandson of Childress, Harvick's current team owner and the man who put him in a Cup car for the first time in 2001, bumped Harvick in the final miles of the Truck sprint in a battle for second. The incident escalated from there. 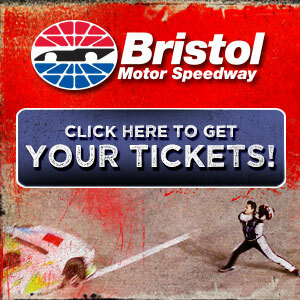 Harvick Saturday afternoon said angrily: "He just dumped me. "Exactly the reason why I'm leaving RCR, because you've got those kids coming up, and they've got no respect for what they do in this sport, and they've had everything fed to them with a spoon. "I cut him slack all day, and he just dive-bombs me in there and dumps me. It's a shame you've got to get taken out by some rich kid like that." Dillon: "Typical Kevin Harvick, and pretty much his career at RCR. "He was kind of hogging the bottom, and I just kept diving to the inside. I was low, and he kept chopping down, chopping down. "It was getting toward the end of the race, and I gave him a tap, and he got sideways. But then he hit the brakes to try to brake-check me in the middle of the corner." 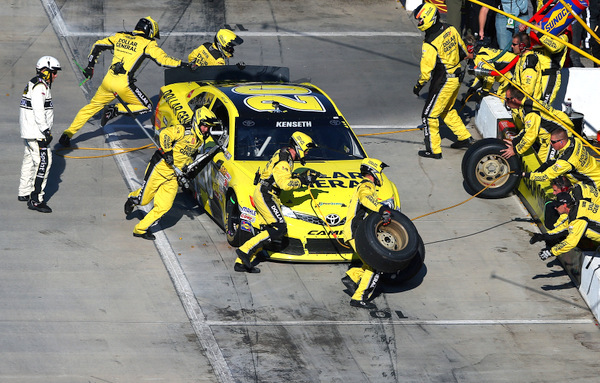 The two continued their bumping under the yellow, which could lead to NASCAR penalties Tuesday. The sanctioning body is reviewing the incident. Dillon is expected to take over the ride next season that Harvick current has, with Harvick moving over to the Tony Stewart camp. "I'm pretty disappointed in the things that went down," Dillon went on. "I used to look up to that guy. "I guess he doesn't understand the circumstances of what's going on. "To tear a truck up and act like a punk on pit road, and stopping by my pit stall when my guys are coming out, that was pretty ridiculous. "I'm not happy with him." Childress made it clear Saturday he was upset with Harvick, but he said he would reserve his comments until later. Sunday Harvick, though still not talking with Dillon, was cooler: "There was just a lot of emotion involved. I hate it for everybody at RCR. "You go back and look at the things that happened, and sometimes you regret the things that you say, for sure. Yesterday was definitely one of them. "Obviously when those emotional situations come about, you say things you really don't want to say. "I just want to apologize to all of those guys, work hard today and try and do everything we can to win the race. "It's one of those situations you don't want to be a part of... but I don't have anybody else to blame but myself."